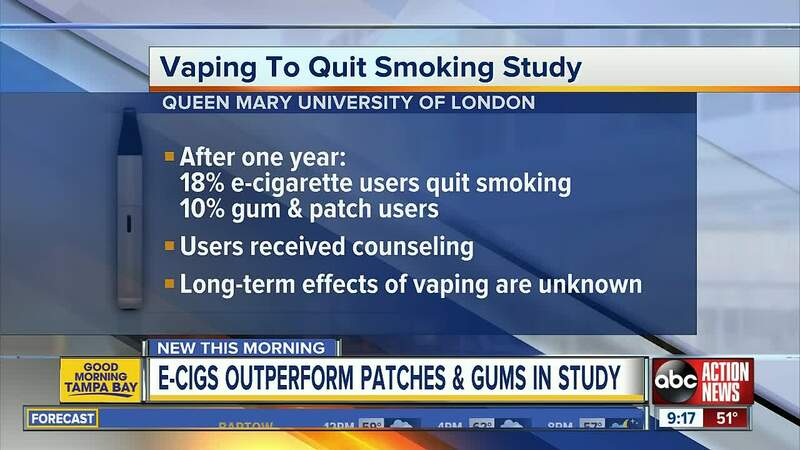 A major new study provides the strongest evidence yet that vaping can help smokers quit cigarettes. The British research, published Wednesday in the New England Journal of Medicine , could influence what doctors tell their patients and shape the debate in the U.S., where the Food and Drug Administration has come under pressure to more tightly regulate the burgeoning industry amid a surge in teenage vaping. “Anything which helps smokers to avoid heart disease and cancer and lung disease is a good thing, and e-cigarettes can do that,” said Peter Hajek, study co-author and an addiction specialist at Queen Mary University of London . The researchers didn’t test e-cigarettes against new drugs such as Pfizer’s Chantix , which has shown higher rates of success than older nicotine-based treatments.